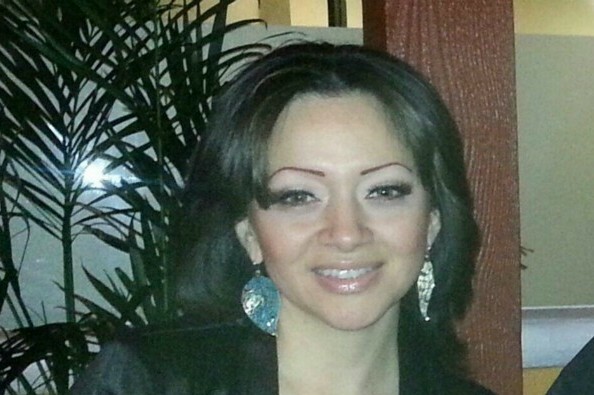 Lorna Lopez lost her life to Domestic Violence on March 14, 2013. Lorna never allowed her turmoil from home to interfere with her patient care. Although she suffered in silence, she always advocated for her patients. We will no longer hear her sweet laugh, no longer see her beautiful smile and no longer witness her compassionate care of others. But though we cannot change these tragic events of the recent past, we can help to move forward and provide hope for the future. Lorna was her family's main source of financial support. We know above all she wanted her children to be loved and cared for. Please consider helping us to show our support by making a donation. All profits will go towards her children (ages 8-17) for their continued needs and education. Thank you! We want to thank all of you for your kind words, loving support and generosity. In memory of Lorna's life, please join her children in increasing awareness against Domestic Violence by bringing a purple candle.We will shine the light in ALL the dark places....one day at a time. Lorna's children, mother ("Mama Daisy") and brother Carlos would be honored to invite family, friends and everyone who had the privilege of knowing Lorna to gather after the funeral services for a "Sweet Luncheon" in loving memory of a great mother, daughter, sister and friend! Please bring a dish to serve at least 10 people. I want to say thank you for everyone's donation it is greatly appreciated. Can you spread the word as well that will be so helpful. Thank you! Lorna may your beautiful soul rest in peace. You were always kind to all you came in contact with. My staff as well as myself send our condolences to all your family especially your wonderful children which I am sure you are looking down from the gates of heaven and smiling your bright smile. I will forever remember your one of a kind laugh how could I forget :). Although I taught my staff to go into the facility do our job and get out they all have expressed their deepest sympathy for your loss. I have ordered Domestic Violence purple wristbands for my staff to wear in your memory. There is actually a separate fund through victims if violent crime for the funeral costs. This money is going directly going directly to Carlos for expenses related to the children. I hope that was helpful and god bless. Thank you, everyone for your support. In the description it mentions the donations going to her 4 children but it is primarily for the funeral expenses. Those who have contributed thank you so much. Those who are thinking about it, anything will be appreciated. Thank you, so much for your help during this tough time. My heart is heavy for Lorna and her family. I pray her family is able to find peace and live the life Lorna would want them to have. I will miss you my friend... Rest in peace Lorna. With deepest sympathy and love, may God restore the emptiness, the pain of losing this beautiful person who commitment to serve others as a nurse. Words are not enough to extinguish the aches and pains of his tragic event. I trust the Lord to restore and strengthen her children, the families that have been affected. Let us not judge, but be compassionate towards this sensitive issue. The children have a long road to face and live with the knowledge of events that took their mom. Pray for Lornas children and her family to start the healing and restoration. Lorna, may you rest in peace and know that you are loved and live forever in our hearts. Hey everyone, this website is legit, I am the son of the mother, thank you for are your donations! Marcela, no disrespect to you either but not everybody has a Facebook account. Our dear departed friend Lorna didn't have one either. Carlos is her brother. Carlos, I'm not trying to disrespect you in any way but you should verified your Facebook to make it more legit...Deepest Sympathy. Are you a Family member. Thinking about Lorna and her family. You are all still in our prayers. Our group raised just a little more money this weekend for the Lopez family. May God keep you close and may you keep each other closer. Our deepest condolences.